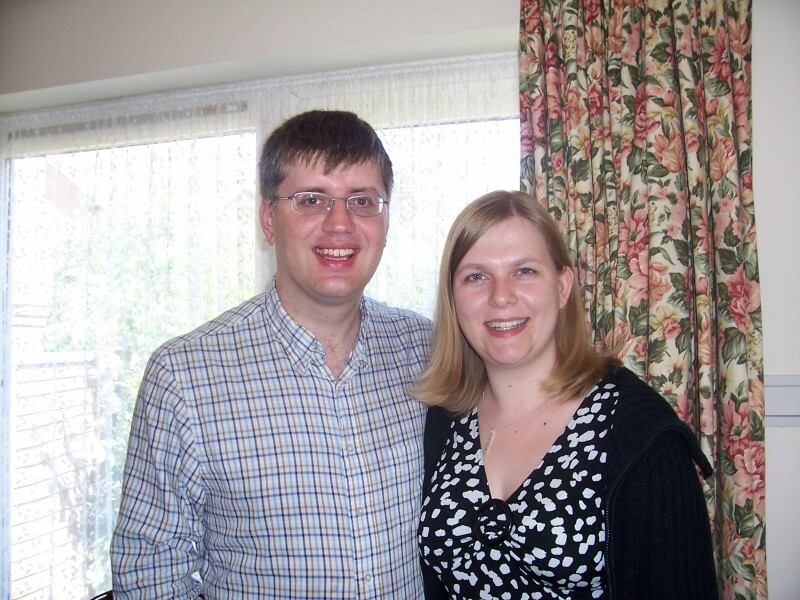 Dave grew up in Bradford West Yorkshire in a Christian family and put his trust in Jesus as a young child. He worked for an aerospace company in Kent for ten years; implementing business systems and then in operations management. Before coming to Bearwood, he trained at Oak Hill Theological College in London. Dave describes himself as a frustrated Bradford City Supporter - frustrated both because distance makes it difficult for him to see his home team regularly and because of the team’s dismal performance over many years! Sarah is from Gillingham in Kent. She was invited to a Christian concert when she was 14 and responded to the good news about Jesus, asking him to forgive her sin and be the Lord of her life. Sarah teaches English at secondary school level and unsurprisingly enjoys reading novels, poetry and Shakespeare. Her favourite animals are penguins! Together Dave and Sarah enjoy musicals and have taken advantage of their time in London to see Hairspray, Blood Brothers and The Lion King.